Guy Rigby What’s important in building a business to sell? What’s important in building a business to sell? 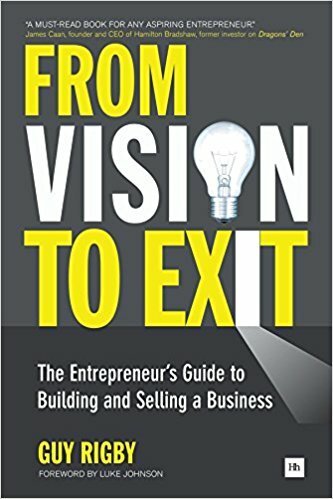 If you are looking to build a business which you eventually want to sell, what are the things you should be thinking about, almost from day one? Grant Leboff: If an entrepreneurial leader is out there, looking to build a business which they eventually want to sell. From your point of view what are the things they should be thinking about, almost from day one, and perhaps very early on, if that’s the outcome that they want at the end? Guy Rigby: Well they’ve got to start thinking about what might be attractive to a buyer and they need to start building that into their thinking. Traditional businesses tend to sell on a multiple of what we call ‘EBITDA’ which is Earnings Before Interest Tax Appreciation and Amortisation to give it the full text. They tend to be established. They might be a business doing over 5, 10, 15, 20 million a year, as a private business. They’re probably profitable and very high growth. If they stopped investing then maybe the profits would flow through. All of this needs to be pretty well established. So in order to get best value for your business you need to tick all the professionalised boxes; good management team, strong brand, good governance, stable financial position… all that all that sort of stuff. Grant Leboff: How early on would you advise a leader to bring in advisors, or whoever it might be, to assist them – if that’s the aim – to make sure that you’ve got those key ingredients in place? Guy Rigby: If that is the aim. I think for a lot of people, they don’t really start with the end in mind. They kind of wander about and do their thing and and then suddenly they think oh, I may have something valuable here… maybe I should do something with it. If they are setting off down that path to grow and sell a business, literally, I think right from day one. I come across situations daily where companies that come to us for advice have started off in what I would call, the wrong way. They didn’t do it properly and they didn’t do it professionally. Now they are beginning to realise they’ve got something quite decent and interesting and valuable. And actually…’ohhh! we’ve got to go back and sort it all out and correct what we did there and we’ve got a bit of a risk here that we haven’t thought about’. All that sort of thing. So very early days I would say. Get good advisors on board. Grant Leboff: And setting expectations. If as is more likely, often you’re a business leader and they started a business and maybe five, seven, eight years down the line you’re and going ‘actually this is pretty good, I could make some money, I could sell this eventually’. If you then bring in advisers at that point. Expectation? I know it would depend on the business, but expectation wise; how long will it often take a business perhaps that perhaps hasn’t done all the right things – obviously it will done some of the right things – to prepare themselves, so they are position where they can sell? Guy Rigby: We like to start working with businesses that we’re going to sell, through our M&A team, a couple of years before we sell them, if we can. Often we don’t get that luxury because suddenly they’ve been made an offer. And you know it’s quite tempting, so our job might be to market the business to get a wider audience and see whether or not anyone else comes up and beats that offer. So we often get a chance, but it’s very nice to have six months to a year to run in, to figure out whether everything’s good, and then probably a six to 12 months sale process. 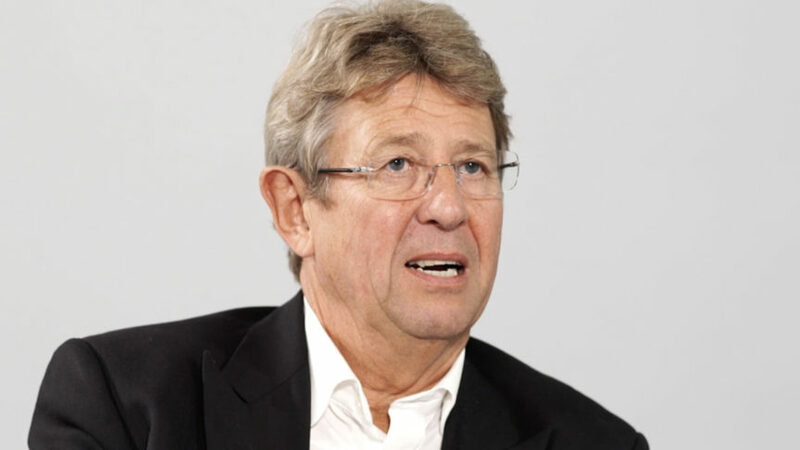 In this lesson, Guy Rigby – a chartered accountant, entrepreneur, author, mentor and advisor to dynamic owner-managed businesses – warns of the challenges facing entrepreneurs who are guilty of ‘pushing water uphill’. What are the risks incurred when expanding a company via acquisition? In this lesson, Guy Rigby – chartered accountant, entrepreneur, author, mentor and advisor to dynamic owner-managed businesses – sets out the essentials to building and selling a business. In this lesson, Guy Rigby explains how Network thinking reflects the modern approach to business (Open, Random and Supportive). What are the key ingredients of getting the right team together? In this lesson, Guy Rigby explains various strategies for putting a team together, that is, once you have made sure you don’t run out of cash. What’s the difference between an entrepreneur and a leader? Are you an entrepreneur or someone who just ‘grows’ into the leadership role? Guy Rigby explains the boundaries of business people’s abilities / responsibilities and elaborates on the Cranfield analogy which is Artisan, Hero, Meddler and Strategist. What are the keys to raising finance? Raising finance depends on the type of business, how fast you need to go and whether or not you can grow itself. In this lesson, Guy Rigby explains the various forms of raising finance from family to venture capital – their benefits and shortcomings. What are the keys to business financial management? What are the core KPIs that the business leader should be thinking about? In this lesson, Guy Rigby – a chartered accountant, entrepreneur, author, mentor and advisor to dynamic owner-managed businesses – explains that cash flow, not profit, is the Key Performance Indicator. If most people acknowledge that the business plan you have today won't look the same two years from now, why bother with one at all? How important is flexibility in a growing business? How do you manage the pace of growth? When building a business, people often think that they just need to make as much money as quickly as possible. In this lesson, Guy Rigby – a chartered accountant, entrepreneur, author, mentor and advisor to dynamic owner-managed businesses – explains that it's a bit more nuanced than that.